In ancient Biblical times a “covenant (“b’rit”)” was sealed with a meal… These covenants were common in ancient Biblical times. The bond was sealed by both parties vowing, often by oath, that each, having equal privileges and responsibilities would carry out their assigned roles. If we are not in covenant with God, we will never know Him at all …and if we do not understand the importance of covenants, we will not be able to make much sense of vast portions of the Bible. 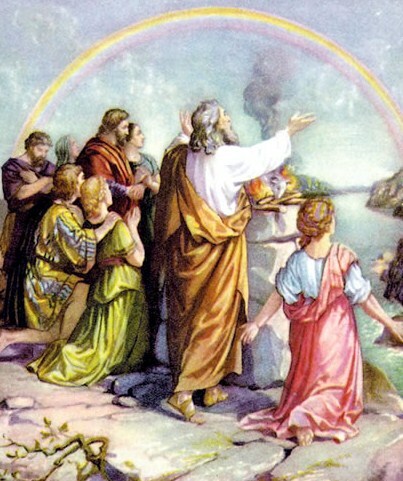 Covenants, as illustrated in the Book of Genesis, had several common elements. There were usually promises or commitments which were made, to which the parties bound themselves. There was often a sacrifice made, followed by a meal, which partook of some of the sacrifice. There was also a memorial, some kind of physical token of the oath, which served to remind the parties of their commitments. There was also a curse attached to the one who broke the covenant which he had made and there was always a sense of solemnity in the making of a covenant, for it was a serious step of commitment. Why did Abraham and Melchizedek, Laban and Jacob eat a meal together…? Why does Psalm 23 tell us that God “prepares a table before us in the presence of our enemies…? Why did the father of the prodigal son kill the fatted calf…? 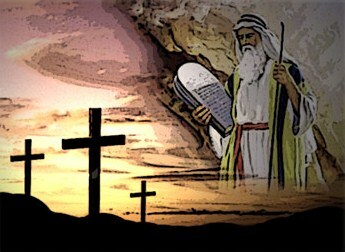 What is the significance in Yeshua (Jesus) words, “take eat, this is My body”…? And, what was meant by, “New Covenant” (Matthew 26:26-29) at the Last Supper…? And, what is the significant importance about that meal…? Why did Yeshua (Jesus) prepare a meal on the shores of the Sea of Galilee for Peter and then tell him, “feed my sheep”…? In Revelation 20 we read that Yeshua wants us to come to the door and eat with him, but why…? The tread that binds the questions together is the “Covenant Meal.” However, the “Meal Covenant” is not prescribed in the Bible like the regulations given for “the Feasts of the Lord.” Rather, the meal covenant is a Hebraic principle found throughout Scripture, whereby a meal becomes the means for reconciliation between two people, but also between man and God. Even God uses the meal to remind people of His relationship to us and our need to reconciliation with Him. The most unique and fascinating chapter in the Old Testament is Exodus 24... Jehovah God, who usually can’t be seen, IS SEEN, not only by Moses, along with Joshua, his servant, but by Aaron, Nadab and Abihu, the priests …and also by seventy of the elders of Israel. The description of God is one that we would not have expected to find in the Old Testament. In addition to seeing God, the elders of the nation of Israel also sat and ate a meal in His presence. If nothing else would motivate us to study this chapter then our curiosity could inspire us! In the light of the way covenants were made, it is not unusual to find the elders of the nation of Israel eating the covenant meal in the presence of God …for both parties were present at the covenant meal. What is unusual is that men saw God and did NOT perish, and that the vision of God is indeed rare, unlike all other manifestations of God in the Pentateuch (the first five books of the Bible). But, exactly what did these elders see…? Well, we know that they saw God! We also know that the God they saw had feet (Exodus 24:10). All that is described …to our dismay, are the feet of God and the sapphire-like clear blue pavement under them. Why does our text describe only the feet of God and the pavement under them…? One might think that this is all one would have seen stretched out on one’s face before God since most of those who had such visions of God fell before Him in terror or in humility (Ezekiel 1:28; Revelation 1:17). Exodus is important also because it records one of the most significant and solemn events of the Old Testament. The nation Israel had camped at the base of Mount Sinai for some time and they would continue on there for a considerably longer period. It is here at Mount Sinai, in Exodus 24, that the Mosaic Covenant is ratified. Centuries before, God had promised Abraham that he would become a great nation, through his offspring. God promised Abraham a seed (a son, which would become a great nation), a land (the land of Canaan), and the promise that this nation would be blessed and a blessing to all nations (Genesis 12:1-3). The promises which God made were ratified as a covenant between Himself and Abraham in Genesis 15. That covenant was reiterated to Abraham’s offspring, Isaac and Jacob, and the sons of Jacob. The Mosaic Covenant is now imposed upon Israel by God who has delivered the Israelites out of Egypt and the stipulations have been spelled out in a summary form (the Ten Commandments) and in more detail in the “book of the covenant,” (Exodus 20:22-23, 33). We cannot possibly understand the message and the meaning of the Old Testament apart from an understanding of the “Old Covenant,” which was instituted in Exodus 24… And, we cannot understand the “New Testament” apart from an understanding of the Old Testament, of which the Mosaic Covenant is the key. Even a casual reading of the Book of Hebrews underscores the need to understand the Old Covenant and the Old Testament, if we are to grasp the work of Christ in bringing the “New Covenant.” Therefore understanding covenants is important to Christianity. The concept of a covenant must be understood, since the Gospel is the proclamation of a “New Covenant,” which was instituted by our Lord. It is significant that this portion of bread at the Passover, called the “afikomen,” that Yeshua (Jesus) blessed and gave to His disciples when instituting the “New Covenant” sacrament of Communion …as this is why Yeshua said, “I have eagerly desired to eat this Passover with you before I suffer,” Luke 22:15. 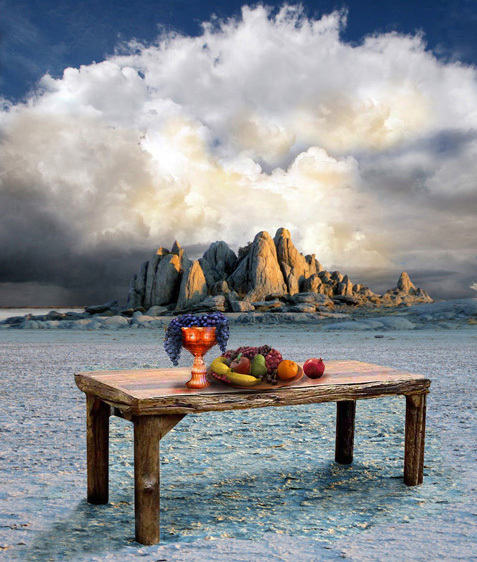 Interesting also at the “Passover Seder Table” is the third cup which is taken as the cup of “redemption.” Yeshua also blessed the wine (grape juice) as that the “cup of redemption” for God says; “I will redeem you with an outstretched arm,” Exodus 6:6. We can understand this more now as it shows us a greater fulfilment when Yeshua was crucified! And, we as believers in Messiah can rejoice… “For whenever you eat of this bread and drink of this cup, you proclaim the lord’s death until He comes,” 1 Corinthians 11:26. As adopted sons and daughters of Abraham we can commemorate not only the first Passover, of freedom, but the second Passover too when Yeshua (Jesus), the Lamb of God, gave Himself as a sacrifice for us so that we might someday join in the Lamb’s Supper in the Kingdom! In John 21:12 we find the resurrected Yeshua (Jesus) inviting the disciples to a breakfast of fish and bread on the shores of the Sea of Galilee. Peter had denied Yeshua three times in Jerusalem. Peter was humiliated and had given up and gone back to his old fishing job on the shores of the Sea of Galilee. And, then suddenly there was the Lord on the shore just like the first time they met. 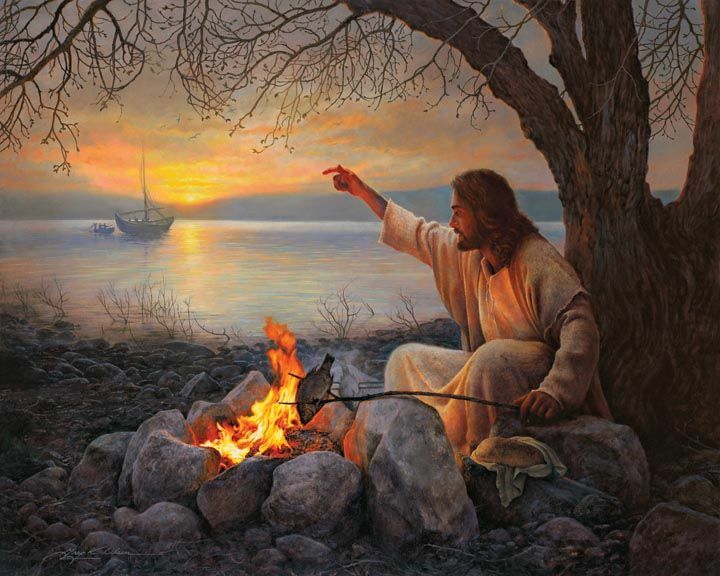 Peter hears the same miraculous message to “throw his net to the other side of the boat” for a great catch of fish. Peter catches the fish and then realizes it really was Yeshua (Jesus) and jumps into the water …but this time he doesn’t walk on it but rather falls into it! He gets to the shore and begins to eat and realizes… ghosts don’t eat, only resurrected bodies! Yeshua (Jesus) knew that Peter had denied Him three times in Jerusalem and His purpose was to reinstate Peter over a meal on the shores of Galilee. Peter was eating with the resurrected Lord, who asked him three times; “Peter do you love Me…? And, each time Peter answered Him; “Yes, Lord” …and then Yeshua said to him; “Feed My lambs.” By asking Peter three times if Peter loved Him, Yeshua was reminding Peter of His three denials. He then confirmed to Peter that his calling was to “feed the sheep” of Yeshua …in other words, Peter was to reconcile wayward sheep back to the Kingdom of God …just as Yeshua had done for him. There is double reconciliation in this passage; firstly, Peter was restored to fellowship with Yeshua, whom He had denied. And, secondly, Peter is called to do the same for others who had gone astray. Covenant sealed with a meal! In Revelation 3:20 we find Yeshua (Jesus) saying, “Here I am! I stand at the door and knock. If anyone hears My voice and opens the door, I will come in and eat with him and he with Me!” For Christians, this brings us back to Communion, at the Passover (Last Supper) table …to the same bread and wine brought forth by Melchizedek. 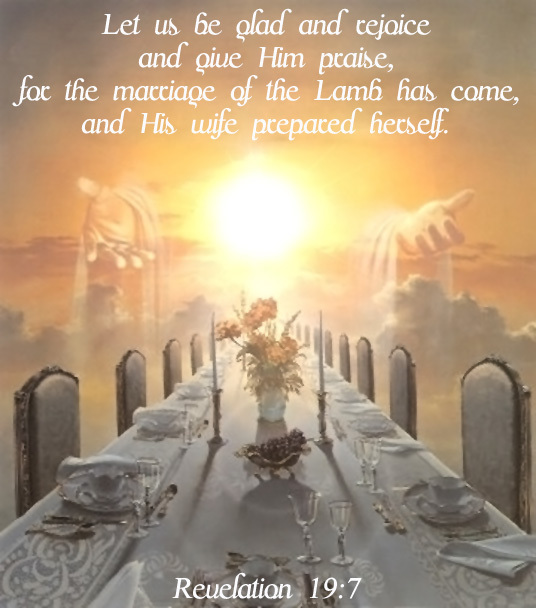 The High Priest of the Most High God back in Genesis …and it can also remind us of the future marriage feast of the Lamb, as the Bridegroom comes for His Bride, the Church! The communion table is a table of reconciliation! The purpose is to remind us what Yeshua (Jesus) did so that we can receive God’s forgiveness, reconciling us back to Him as we await the event of His Second Coming in anticipation! At Passover, Yeshua was crucified as our “Passover Lamb” that we might have eternal life but in Revelation 3:20, He is now resurrected God! The symbol of the table of reconciliation is the same expressed throughout the Bible… yet this time it is expressed in “eternal” reconciliation. Abram and Melchizedek - here we see the first “Meal Covenant” expressed in Genesis 14… after Abram (later called Abraham) killed Kedorlaomer, king of Elam, who had taken his nephew Lot captive. 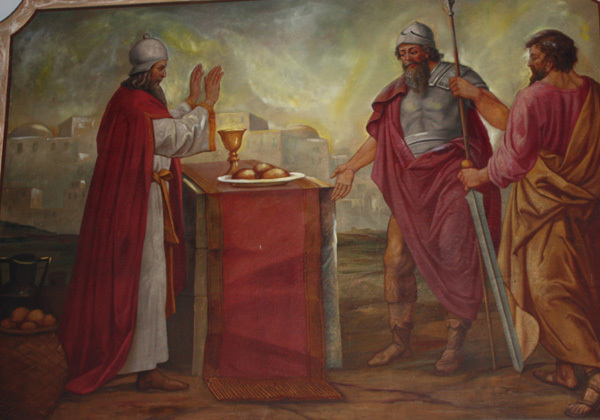 Melchizedek, king of Salem (Jerusalem) and the Priest of the Most High God, met Abram and blessed him, bringing “bread and wine” for them to eat together as a sign of a covenant being established between the two men. Therefore the main significance relates not to the elements of the meal but to its context… on the one hand divine provision …and on the other hand a covenant meal! Firstly, then, Abram did not need to be given any food having managed to recapture the entire food supply of Sodom & Gomorrah (Genesis 14:11, 16). Secondly, the meal shared by Melchizedek with Abram as guest pointed towards the promise if “possessing the land forever (Genesis 14:19, 22; 15:7-9, 17-21) which was given as a direct response to Abram’s faith-filled rejection of Sodom (Genesis 15:1). Thirdly, the promise of a multitude of descendents through Sarah’s son, Isaac, was confirmed with a further covenant meal shared by Abraham not long afterwards with God Himself as guest (Genesis 17:2, 4, 21; 18:1-10). It’s not coincidence that Melchizedek, priest of the God Most High, would bring bread and wine and that Yeshua (Jesus) a priest in the order of Melchizedek commanded His followers to regularly eat this priestly meal of bread and wine as communion with Him (Hebrews 5:5-6). Remember back in the Old Testament, before the “golden calf” (Exodus 32) fathers were the high priests and first-born sons were priests under their authority … this was how the ancient Jews and Church fathers understood it. Their rebellion was the “golden calf” and the first punishment was to take away the priesthood from the first-born which had been theirs for centuries and give it temporarily to the tribe of Levi (the Levites). What the author of Hebrews was saying is that, Yeshua (Jesus), God’s Son, is righteous enough to restore the original pattern of Father-Son family priesthood! Because, this is a divine family that God, through Christ, is adopting us into …through the Sacrifice of His Son, Yeshua (Jesus). “Behold, the days come, says Jehovah, that I will cut a new covenant with the house of Israel, and with the house of Judah, not according to the covenant that I cut with their fathers in the day I took them by the hand to bring them out of the land of Egypt; which covenant of Mine they broke, although I was a husband to them, says Jehovah; but this shall be the covenant that I will cut with the house of Israel: After those days, says Jehovah, I will put My Law in their inward parts, and write it in their hearts; and I will be their God, and they shall be My people,” Jeremiah 31-33. That covenant they broke…? When…? The covenant that God made with them coming out of Egypt they broke when they made the “golden calf!” Nothing is just coincidence in the Word of God! We have such a High Priest, who is seated at the right-hand of the Throne of the Majesty in heaven …and though this rebellion happened centuries ago, God is not finish with His chosen people the Jews …and someday they will know Yeshua (Jesus) as the law is written on their hearts and they recognize our Messiah which is theirs too. Moses had provided us with a considerable amount of understanding of covenants in the book of Genesis... The first covenant is that which God made with Noah, promising never again to wipe out the whole earth by a flood (Genesis 8:20-22; 9:9) and the sign of this covenant was the rainbow (Genesis 9:12-17). The next covenant is that which God made with Abraham (Genesis 15:8-21). The promises (a land, a seed, a blessing) of Genesis 12:1-3 are formalized in the covenant of Genesis 15. The sign of this covenant, circumcision, was later indicated in Genesis 17, where the covenant was confirmed to Abraham. Isaac made a covenant with Abimelech in Genesis 26:26-31, agreeing to live in peace. Finally in Genesis, Jacob made a covenant with Laban, agreeing not to do harm to one another. 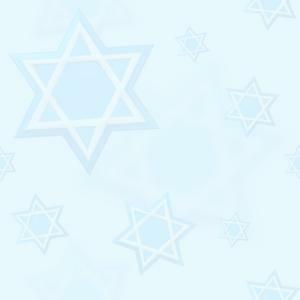 This covenant has many similarities to that which God made with Israel. As Christians, we share in the covenants, the promises, and the festivals …and yes even the “Passover.” “For whenever you eat this bread and drink this cup, you proclaim the Lord’s death until He comes,” 1 Corinthians 11:26. Now let’s look at Jacob and Laban – after Abraham the next time we see the covenant meal as a sign of “reconciliation” is in Genesis 31:43-45… when Jacob took Leah and Rachel, his children and cattle and left his father-in-law Laban, to go back to Bethel. He left in secret and without saying goodbye to his family. Laban followed him across the desert in desperation and anger. When he caught up with Jacob, they had a long talk and were reconciled to one another. They set up a mound of rocks and a stone for a pillar, promising that neither would come after the other to harm each other (Genesis 31:52). Then Jacob offered a sacrifice and invited his relatives to a meal and after they had eaten spent the night there. Early the next morning Laban kissed his grandchildren and his daughter’s goodbye and blessed them. Then he left and returned home (Genesis 31:54-55). It is a rather lengthy story …and the entire family reconciliation ultimately sealed with a meal. Psalm 23:5-6, "You prepare a table before me in the presence of my enemies. Surely goodness and mercy shall follow me all the days of my life, and I will dwell in the house of the Lord forever!" Here we see the concept of reconciliation associated with a meal. It is our assurance that God will take care of us and even deal with our enemies …and even provides a way to reconcile. Periodically we can read in an Israeli newspaper that a "sulha" (coming from the word "shulchan" – meaning table) is being made between two rival tribes or peoples when a big meal is prepared and both parties come together in discussion and at the end of the meal they are fully reconciled. In Luke 15:11-31, we find the "parable of the lost son," more commonly known as the story of "the prodigal son" …and is one of the most beloved parables of Yeshua (Jesus) where the son had left his "father’s house" for a life of sin and pleasure. The young son soon found out that sin only had pleasure for a season and had left him empty and lacking. However the father’s love and desire to bless his son never changed even though the son had left and upon his return prepared the "fattened calf" …a celebration meal to welcome his beloved son back. In the same way our Heavenly Father loves us and forgives us after we confess our wrongdoings! And, in the same way our "elder" brother Israel will be welcomed back too! Marriage Covenant of Ancient Jewish tradition and the Bride of Christ (Church)…. "And He said unto me, Write, "Blessed are they which are called unto the marriage supper of the Lamb," Revelation 19:9. Why was John told to especially "write" these words down? We believe that it was firstly that the information was valuable and secondly because it was certain that the supper was going to happen in the future! It has been engraved into the Bible forever, for generations to know, that God’s Word is true. There can be NO marriage if there isn’t a "Bride" and a "Bridegroom!" NO marriage of the Church without the appearance of Christ and therefore He must be manifested and appear in His glory. 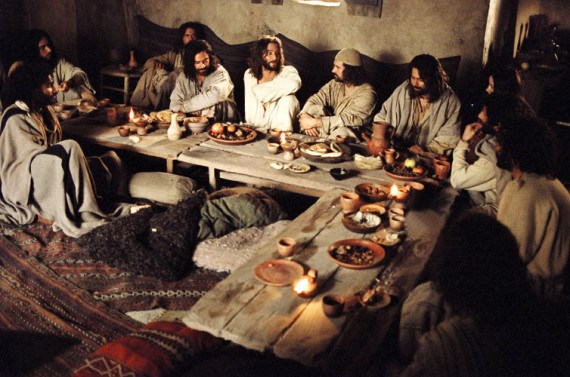 And, then we can have NO marriage supper celebration without the "invited" guests …the true believers of Yeshua (Jesus), waiting eagerly for the Bridegroom to appear as seen in Matthew 25:1-10. The Church is the Bride (2 Corinthians 11:2; Ephesians 5:22-32; Revelation 21:9-10) and Christ is the Bridegroom (2 Corinthians 11:2; Ephesians 5:23-27). There has to be a Wedding Contract (Ketubah or Betrothal) when a person accepts Yeshua (Jesus) as their Lord and Saviour (2 Corinthians 11:2). 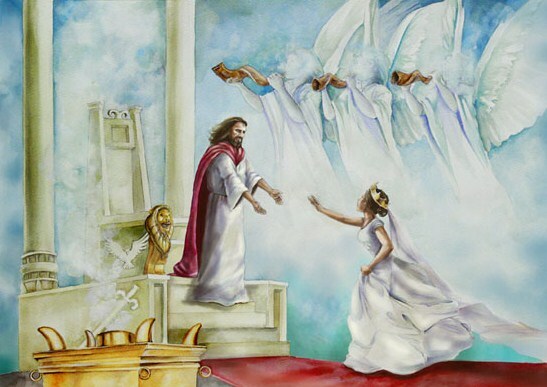 The Wedding Ceremony (Groom receives the Bride) and this is the "rapture" (John 14:2-3; Revelation 19:7). The marriage had already occurred in heaven at the rapture and now the Lamb and the Church was about to return to earth, for the Wedding Feast (Luke 12:36) at the Lord’s Second Coming. At the end of the separation the groom would come to take his bride to live with him and usually at night…! The groom, the best man and along with other males left the father’s house and conducted a torch-light procession to the home of the bride … although the bride was expecting the groom she didn’t know the hour or the time of his coming. As a result the groom’s arrival was preceded by a shout announcing her imminent departure to be gathered with him. So shall it be for the Church at the rapture! After the groom received his bride, together with her female attendants, the now enlarged wedding party returned …from the Bride’s house to the groom’s father’s house where the wedding guests would have assembled. Shortly after their arrival, the bride and the bridegroom were escorted by the other members to the Bridal chamber (Huppah) where only they would enter …but prior to entering the chamber the Bride would remain veiled so that no one could see her face. While the groomsmen and bridesmaids waited outside, there in the privacy of that place, the Bride and Bridegroom would consummate the marriage that had been covenanted a year earlier. After the marriage was consummated the Bridegroom would come out and announce this to the wedding party waiting outside …and this would also be announced to the wedding guests. Upon receiving the good news the wedding guests remained in the groom’s father’s house for seven days celebrating with a great wedding feast! But during that time the Bride and the Bridegroom would remain hidden in the Bridal Chamber (Genesis 29:21-23, 27-28) for seven days of the Huppah … and then come out of that place and the bride now unveiled so everyone can see her! The Bridegroom (Yeshua) has departed, but will soon return after 2,000 years for His Bride… the Church! Throughout the whole Bible, God’s redemptive work, He has established fellowship and covenant through sacrifice (Psalm 50:5) and has confirmed that fellowship through eating the sacrifice, a meal. Those meals within redemptive history anticipate the Messianic banquet when God will dwell with His people in the New Jerusalem. The “Lord’s supper” is the present stage of this redemptive history of covenant meals since it embraces the past and the future!